I hope everyone's been enjoying the cold weather!! It was zero degrees yesterday when I got up for school, and it barely got warmer than that. My students are taking exams all week, so my teaching is minimal, and I've had a little bit of spare time to crochet. 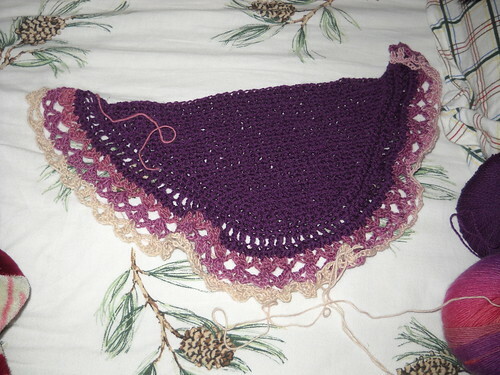 I started a Juliana again, this time with the proper yarn. It is definitely turning out better this time, and I love the colors. 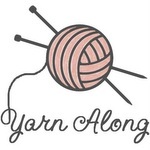 I'm using Knit Picks Palette in Mulberry and Chroma in Gossip. I doubt I will use all the yarn up, so I'm planning what to make next. I really love this Chroma colorway, and I'm sad that it was discontinued. You can't tell from the photo, because I hadn't gotten far when this photo was taken, but the pink in this colorway is AMAZING! When I need something a bit more brainless, I go back to working on infinity scarves. I'm in the middle of my fifth this month. Making infinity scarves is an ongoing project, and I really hope to finish up many more between now and graduation. My fiance was over this past weekend, and brought a book with him-- he thinks I have time to read. Oddly enough, he's right, as I've been able to read nearly 3 chapters of Service, by Marcus Luttrell. Luttrell is a Navy SEAL who lost his team and wrote about it in his first book, Lone Survivor. This second book is much more palatable for me- one, because my fiance is no longer deployed, and two, because I'm not walking into the book knowing that everyone dies. E keeps bringing around these military books for me to read, to help me understand what he went through. It's eye-opening and sometimes scary, but we really do need to face what our military personnel go through to defend our freedoms. 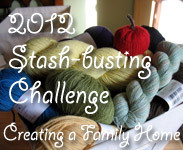 Linking up with Tami for WIPW and Ginny for Yarn-Along. I'm loving your Juliana. Purple(s) are my favorites. Your Juliana is looking beautiful. That is such a fun pattern. I love the cold weather! the colder the better! Love your project! I shall look up infinity scarves, for my own brainless knitting kneeds!